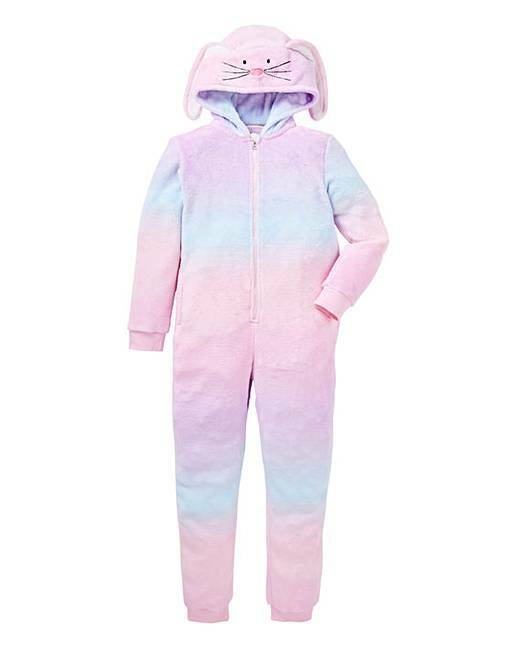 KD Rainbow Rabbit Fluffy Onesie is rated 4.9 out of 5 by 7. 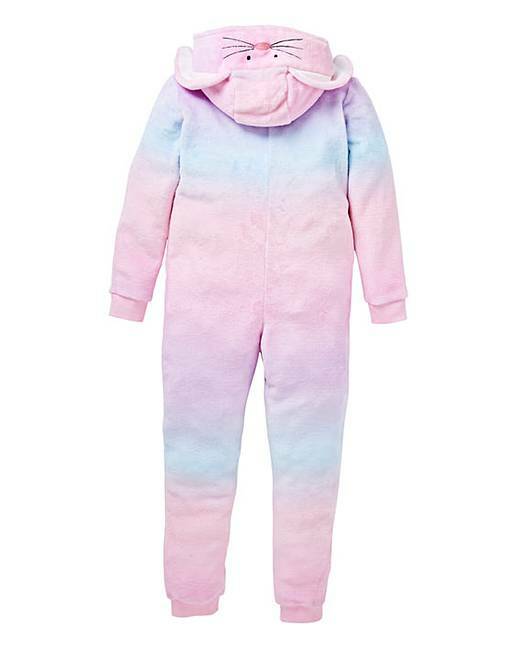 Girls supersoft rainbow rabbit onesie, with a front zip for easy fastening and detailed hood for added fun. This onesie makes the perfect gift this season and is super comfy and warm. Rated 5 out of 5 by Aunty Sue from Perfect fir Easter too!! Bought for niece at Christmas - absolutely loves it - perfect fit and extremely cosy - she's growing quickly so may get the next size up from the Easter Bunny!! Rated 5 out of 5 by Kirstykorey from So fluffy! Purchased this onesie for my daughters children in need pyjama day at school! There so fluffy and soft. Really well made. Kept her warm inside and outside. The bunny features are really cute too.